Portuguese Grilled Chicken and Rice, known as Frango no Churrasco com arroz, is a true staple of Portuguese cuisine. 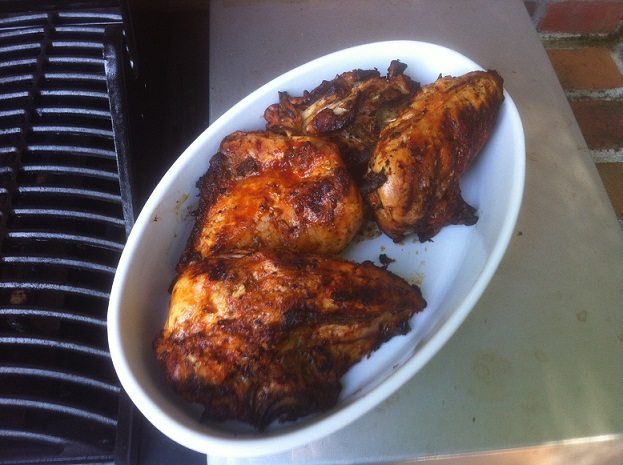 Using very few simple but effective ingredients and spices the chicken is cooked perfectly on the grill and served with some rice on the side. This is a hearty and delicious meal sure to fill you up and is really simple and easy to make. This is the perfect time to bust out the grill and make it just in time for the summer months. 1) Butterfly the chicken in half with a knife through the breast and cut it into pieces. 2) Make a paste with then crushed garlic, olive oil, salt, paprika, piri-piri and lemon juice then rub it all over the chicken thoroughly. 3) As the chicken is marinating, boil the rice in a saucepan. 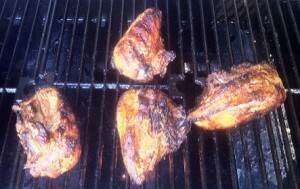 4) After the rice is done, place the chicken on the grill until well cooked and browned well. 5) Season with salt and pepper and mix well. 6) Serve with some boiled rice on the side, enjoy! 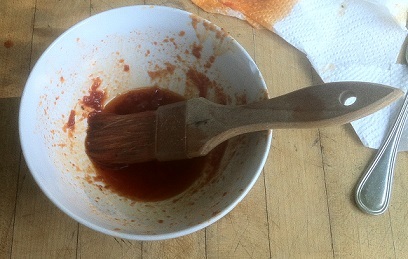 what exactly is piri piri sauce?? ?